Looking for an eye solution that works instantly? With allergy season upon us, I'm always looking for an instant eye solution to smooth over that tired, puffy under eye look. Concealers help a little, but so far, I have not found anything that tops the Instant Eye Tuck Serum. So not too long ago, I did a comparison test with Peter Thomas Roth FirmX, Instantly Ageless, and Instant Eye Tuck Serum. 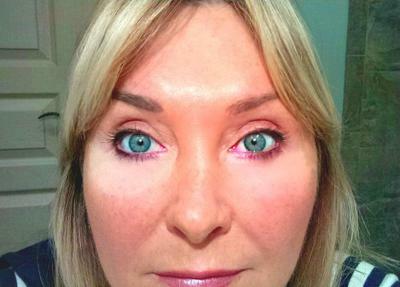 I've even tried mixing the other eye solution products along with the Instant Eye Tuck Serum. I tried mixing in just a tiny dot of the Peter Thomas Roth FirmX along with the Instant Eye Tuck serum - but it still seems to create a white mask across my lower lids. Instantly Ageless - when used alone - doesn’t seem as “tight” and drying as Thomas Roth, but after a few hours tends to crack and peel off……………..at least it does for me. So I tried mix it with the Eye Tuck Serum. However, this doesn’t work well because Ageless has a consistency similar to toothpaste and the Eye Tuck Serum is more fluid like - so the two don’t mix well. Visit: Under Eye Puffiness Review” for more details.